Shlohmo - The End. Vinyl LP, CD. Bleep. 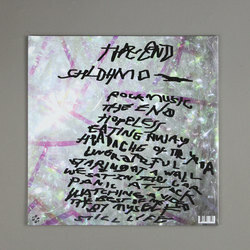 Shlohmo drops The End, his third full-length record and the latest release of his to emerge via the Friends Of Friends imprint. As with 2015 sophomore LP Dark Red, The End finds the Los Angeles legend twisting and turning through darkside mutations of hip-hop and bass music. The difference is that this time the stakes are even higher - The End that he’s confronting is the end of the world. It’s no surprise to find that this album is a heavy listen. Shlohmo’s style has streamlined in the decade since he emerged from LA’s Brainfeeder/Low End Theory scrum. Where his beats once slip-slid all over the place, now Shlohmo’s drums have a surgical snap to them. 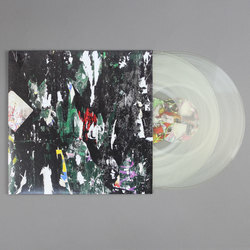 This allows him to take his music to exciting new places - at points on The End we find garage shuffles and Rephlex-style Braindance freakouts, and plenty of the beat programming draws from trap and hard rock. 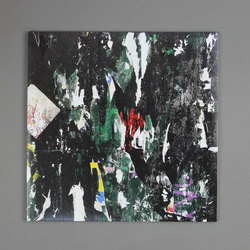 While the rhythms switch themselves up a fair bit here Shlohmo’s melodic and harmonic world remains uniform. Many of the tracks build up from thick bass tones, often adding plumes of synthesised melody and a generous dose of reverb. It’s a melancholy, beautiful sound and one that proves easily malleable to whatever mood Shlohmo finds himself in - G-funk lead-lines, processed vocals and metal guitars are all incorporated seamlessly at different points. Shlohmo has created a record as contemplative as it is intense - and one that manages to find moments of cautious optimism amid the chaos, like a flower blooming from the rubble.